With a show called “Family Travel with Colleen Kelly” and another called “Trip Sisters”, it’s pretty clear that we do a lot of traveling. And what’s the one thing you simply can’t travel without? Luggage, of course! When you travel as much as we do, you learn pretty quickly that the quality and efficiency of your luggage is a top priority. 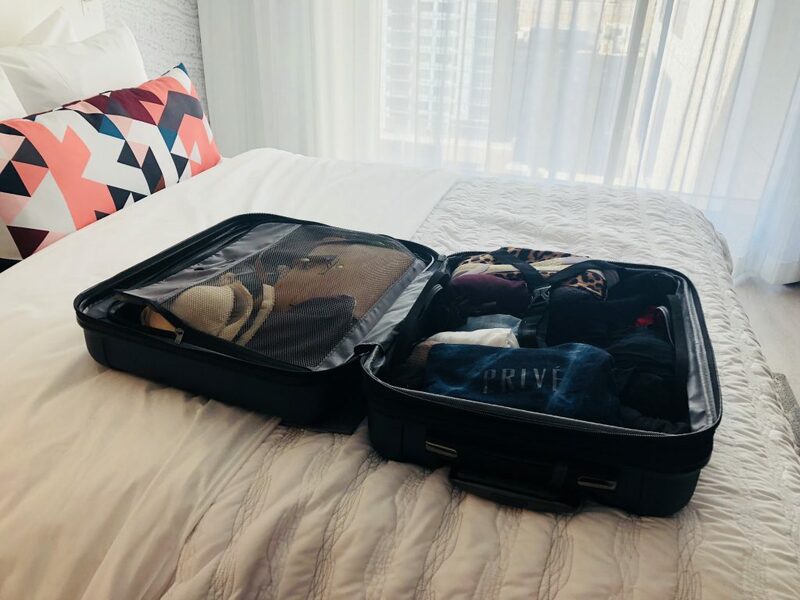 After all, your suitcase is what’s holding all of your precious items as you trot the globe, so it’s important to make sure these belongings are kept as safe and secure as possible. With so many luggage options out there, it’s hard to know where to start looking. We recently returned from a trip to Denver, Colorado, where we brought with us our brand new Traveler’s Choice Art of Travel 2-Piece Hardside Set. We loved these pieces so much, that we wanted to share with you five great reasons to consider Traveler’s Choice for your next vacation. As anyone who’s flown on a plane probably knows, it’s easy for your luggage to wear out quickly as your suitcase gets bumped and scratched going through baggage claim, but with these pieces you have nothing to fear. 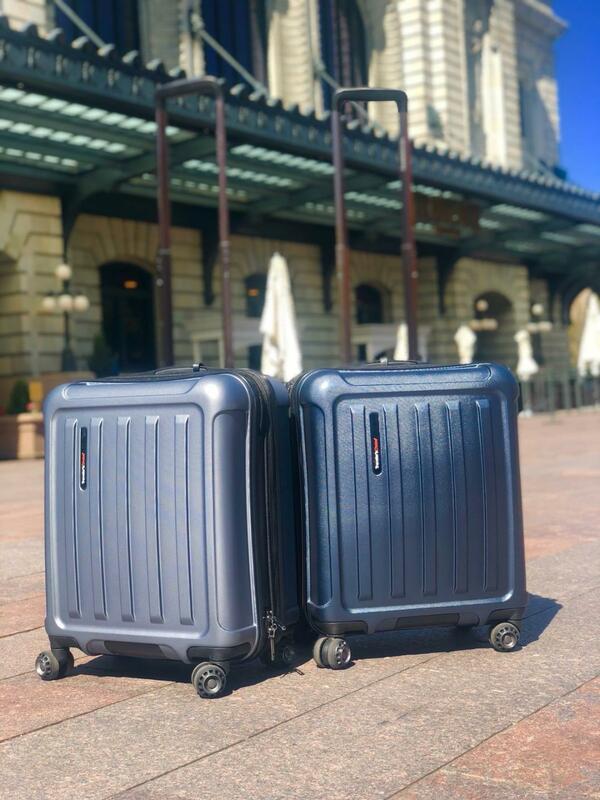 These 100% polycarbonate hard-shell suitcases are not only sleek and streamlined in appearance, but they are also scuff-resistant, so they’ll keep looking fresh and new as you head off to your next destination year after year. There’s hardly a better feeling (in our opinion) than walking through the airport to your gate with your luggage smoothly gliding along by your side. Thanks to Traveler’s Choice 360-degree smooth gliding patented Cyclone Spinner Wheels, you’ll always be ready to board your flight with that same air of confidence. 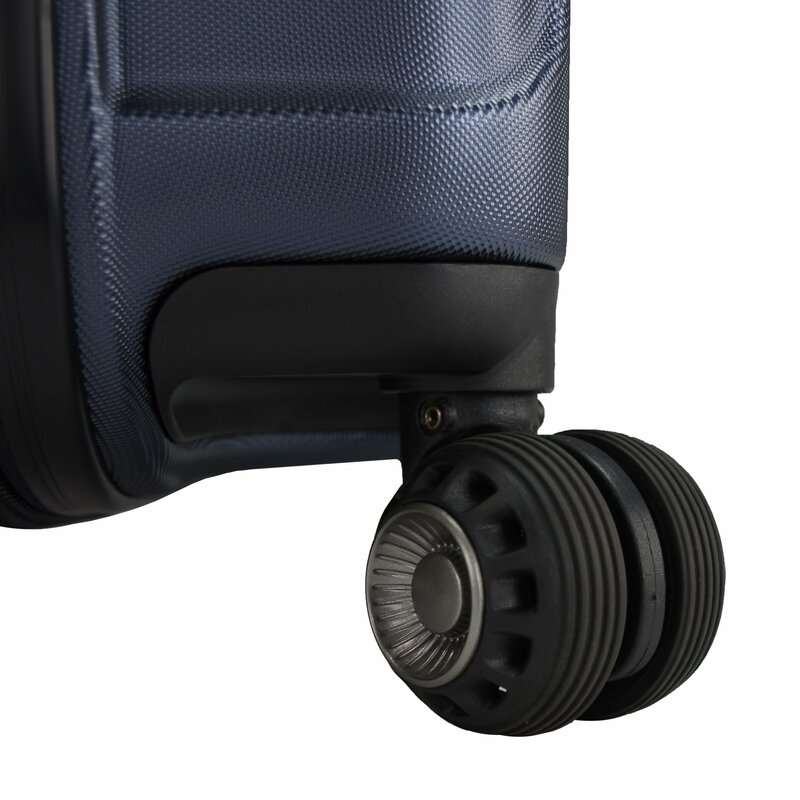 These groundbreaking wheels allow you to roll and spin your luggage with ease on smooth or uneven surfaces, while the aluminum retractable handle and multiple padded grip handles give you effortless control, perfect for maneuvering quickly around busy airports. Have you ever searched for a seat closest to a wall charger at the airport or on a train, only to realize they’ve all been filled? Or have you been tied down to an outlet and cord while your phone charged to a usable percentage? If so, then you probably learned the hard way that neither of these scenarios make for a good travel experience. With its high tech design, the 21” Traveler’s Choice spinner carry-on comes with the iTravel built-in USB port and 9” x 4” x 1” power bank pouch that’s 100% FAA compliant with current powerbank regulations. By adding in your own powerbank, you’ll never have to look for an outlet again — it’s all right there in your luggage! There’s hardly anything worse to a traveler than when you’re about to board your plane only to be told that your carry-on is just a little too big to fit in the cabin. Thankfully, with Traveler’s Choice hard-shell luggage, you’ll never have to worry about that soft suitcase bulging out a half inch too much. All of your belongings will fit perfectly in the case without the worry of your luggage looking stuffed. 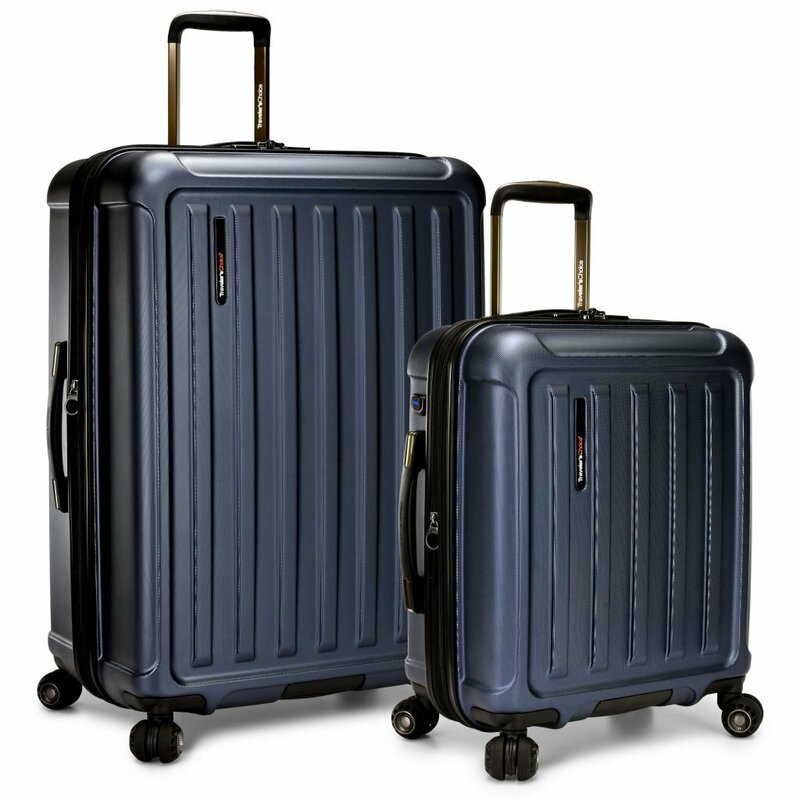 The Traveler’s Choice Art of Travel 2-Piece Hardside Set is also backed by a 5-year manufacturer’s warranty, so you can travel assured that you and your items are protected. 5. You’ll Stay Organized as You Travel—And look great doing it! 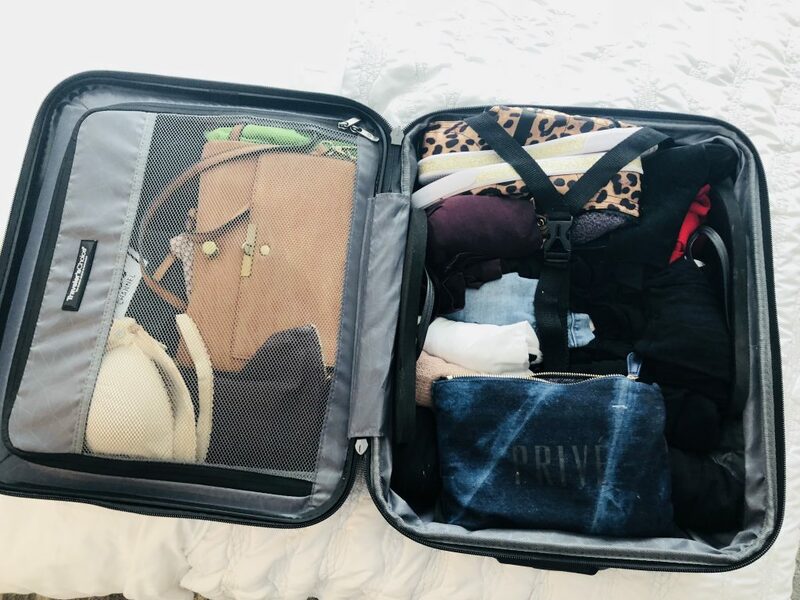 If you’re like me, you like to be organized—Especially when you travel. 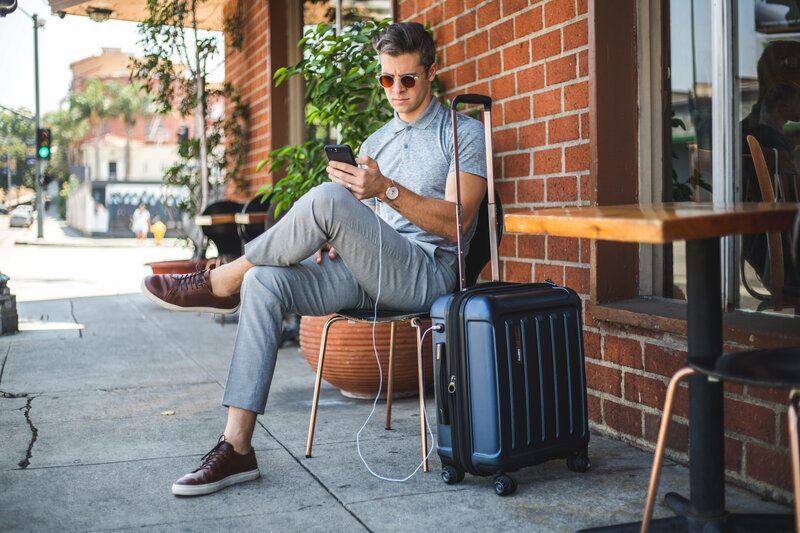 Both the Traveler’s Choice 29” checked and 21” carry-on come with a 2-inch expandable zipper feature, offering extended packing capacity. Open it up and the imprinted, fully-lined interior with zippered center divider is an organized traveler’s dream. Your items will not only be organized, but they’ll also be safe and secure. To top it all off, this luggage comes in two sleek, metallic color options—grey and midnight blue. Functional AND fashionable? Yes, please! To purchase your Traveler’s Choice luggage and start changing the way you travel, go to www.travelerchoice.com. The cost of the Traveler’s Choice Art of Travel 2-Piece Hardside Set (normally $169.99) can be your new travel buddy for only $129.99 after using coupon code FAMILYTRAVEL40. And for a set like this that’s built to last, it’s definitely worth your dollar. As travelers, we’re sure you’ll love this luggage. After all, there’s a reason they’re called Traveler’s Choice! Parent, travel writer, and seasoned traveler, Colleen Kelly grew up traveling all over the world. She has experienced the United States from coast to coast and has explored over 20 foreign countries. Her vast knowledge of travel brought her to realize the need for a new kind of travel experience and focus—one that is centered around the family. As a family travel expert, Colleen doesn’t miss a beat as she offers her personalized tips to parents. Her fun-loving personality pulsates through every moment of the show. She is the ultimate modern-day parent who isn’t afraid to kick back, get a little messy, and have fun!